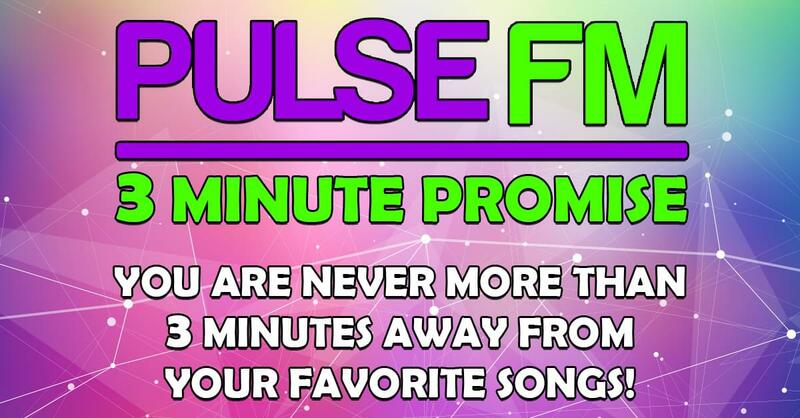 Pulse FM we promise to play the most hit music in the Triangle EVERY SINGLE DAY! When you turn on Pulse FM 96.9 & 102.5 we want you to hear your favorite songs… because that’s the way it should be! It’s our promise to NEVER stop the music for more than 3 minutes. That means if something other than music is playing, you’re less than 3 minutes away from a song. That’s our promise.